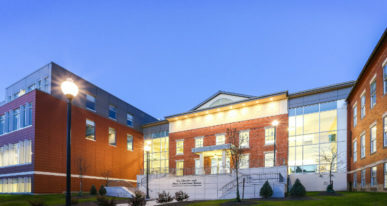 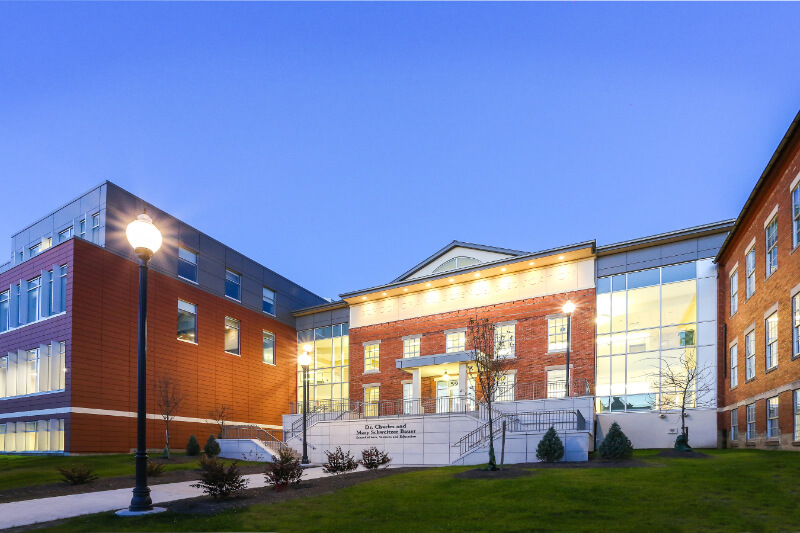 D’Youville College’s School of Arts, Sciences and Education is an adaptive reuse project enabling an urban campus in a historic neighborhood to enhance their facilities and address growing student enrollment. 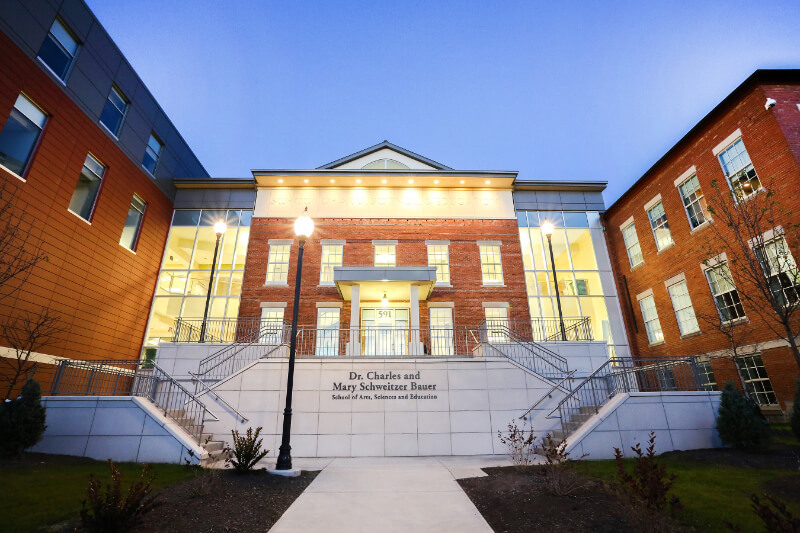 D’Youville is a private, coeducational, independent college located in the historic Prospect Hill neighborhood on Buffalo’s West Side. 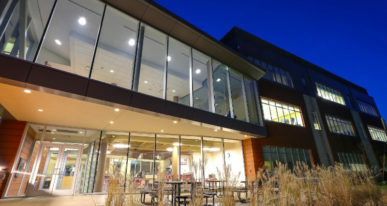 Eager to enhance student life in an architecturally significant area, the project involved the adaptive reuse and restoration of an existing three-story, 25,000-square foot former Gateway-Longview facility, the reuse of the historic façade of its neighboring building, and construction of two new buildings. 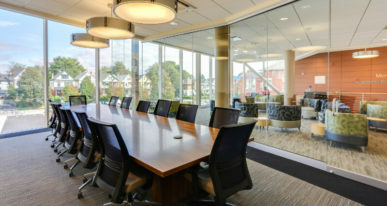 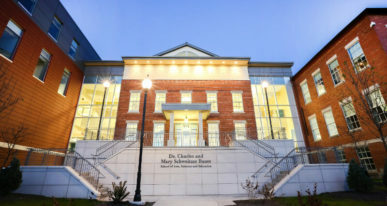 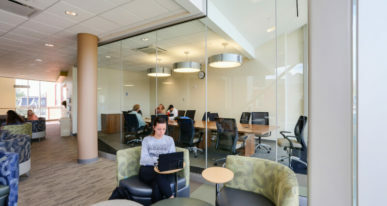 The building has the vibe of a high-energy, collaborative environment for students, faculty and staff. 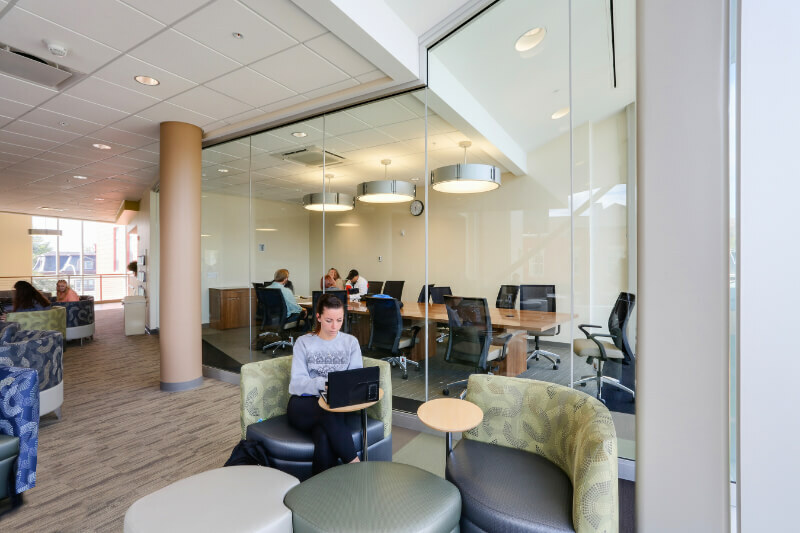 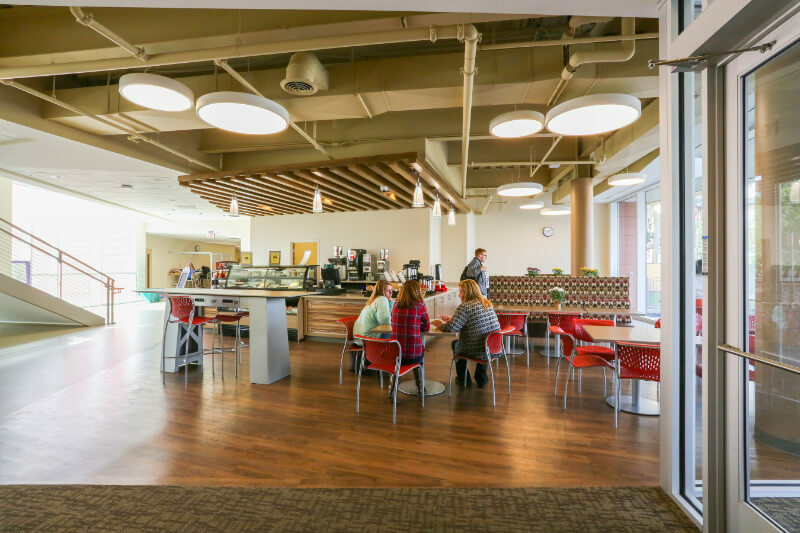 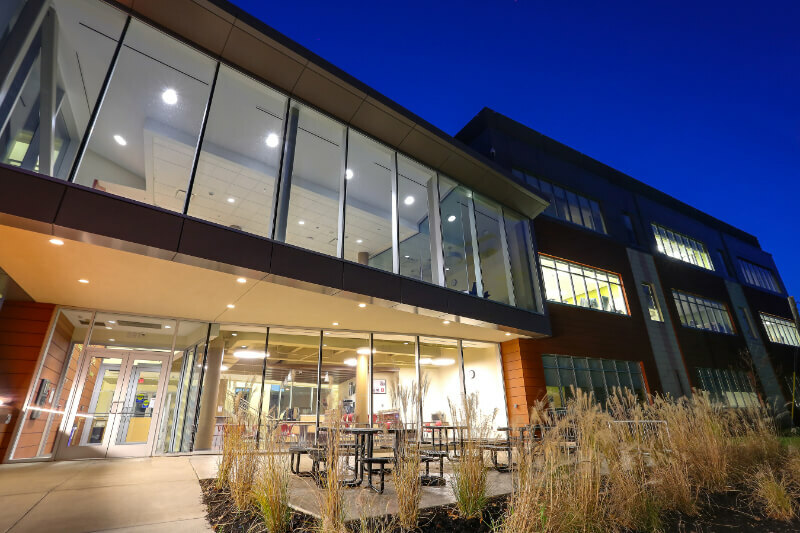 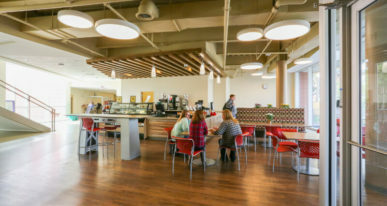 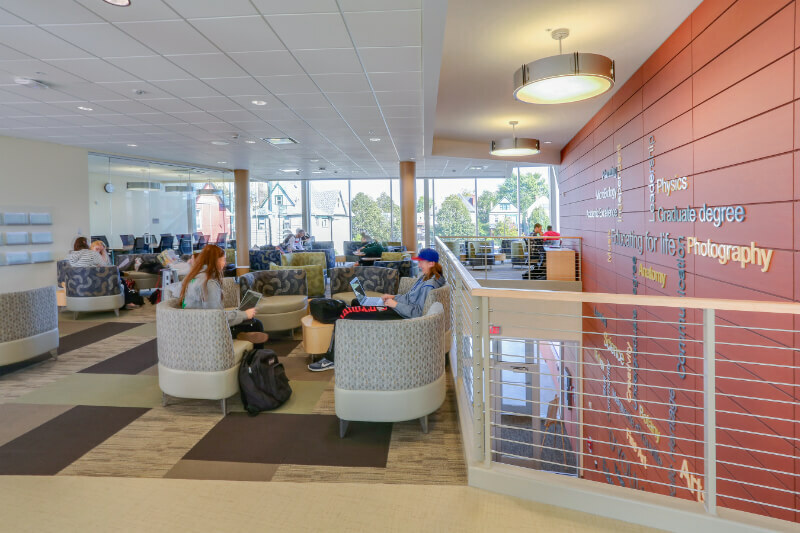 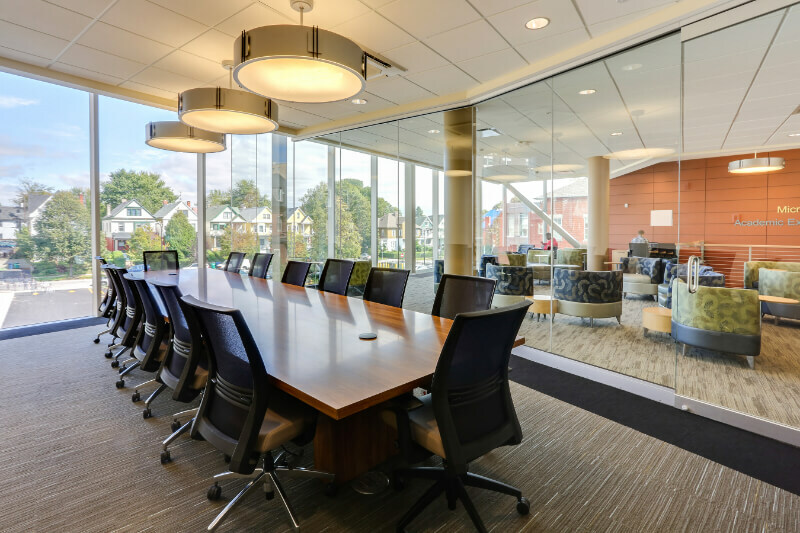 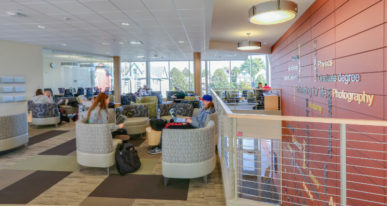 This hub of campus activity features a café, student lounge and study areas, flexibly designed classrooms and laboratories, as well as office space for faculty and staff.